A sports injury can sideline you for weeks or months, and may even end your athletic career. Dr. Marilyn E. Copeland is a board-certified orthopedic surgeon and fellowship-trained sports medicine specialist at Fondren Orthopedic Group in Webster, Texas, and she’s pleased to offer the same groundbreaking stem cell and platelet-rich plasma therapies that star athletes use to recover from wounds, fractures, and injuries. If you’re in the Clear Lake or Greater Houston area and have an acute or chronic orthopedic condition that would benefit from accelerated healing, call or request an appointment online today. Stem cells are undifferentiated, or “blank slate,” cells that can develop into more specific types of cells, including those that make up the muscles, nerves, tendons, ligaments, and bones. Stem cells are found throughout the human body. As an adult, you have plentiful stem cells in your bone marrow and fat. Platelet-rich plasma (PRP) is another kind of autologous therapy that accelerates healing of bones, muscles, ligaments, and tendons. Your blood contains platelets, which rush to the site of a wound to clog it up and prevent the flow of blood from your vessels. Platelets are rich in human growth factors that speed up healing. To create a PRP injection, Dr. Copeland’s staff first removes a small amount of your blood from your arm with a syringe. She then puts the blood into a centrifuge, which separates the plasma (liquid) from the platelets. Once the platelets are reintroduced into the plasma, they’re about five times as concentrated as they are in normal blood. How can PRP therapy help women? Body alignment: Women tend to have wider hips and knees that point inward, both of which can increase the risk of injury. Dr. Copeland often prescribes PRP therapy in combination with women-specific strengthening exercises to help you recover faster from injury and build a strong defense against re-injury in the future. If you want to learn more about the healing properties of stem cell therapy and PRP injections, call or request an appointment online today. 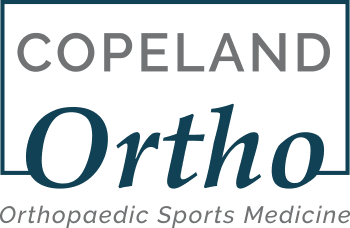 Disclaimer: The contents of the CopelandOrtho.com Site, such as text, images, and other material contained on the Copeland Ortho site are for informational purposes only. These contents are not intended to be a substitute for professional medical advice, diagnosis, or treatment. Always seek the advice of your physician or other qualified health provider with any questions you may have regarding a medical condition. Dr. Copeland would be happy to discuss your particular orthopedic needs by appointment in her clinic.